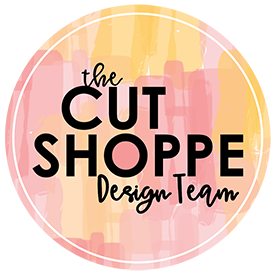 You may remember a previous layout I shared that was inspired by the Old Favorites with a New Twist Class taught by Ashley Horton. This class is offered through Big Picture Classes and gives a fresh perspective on scrapbooking techniques of years past. 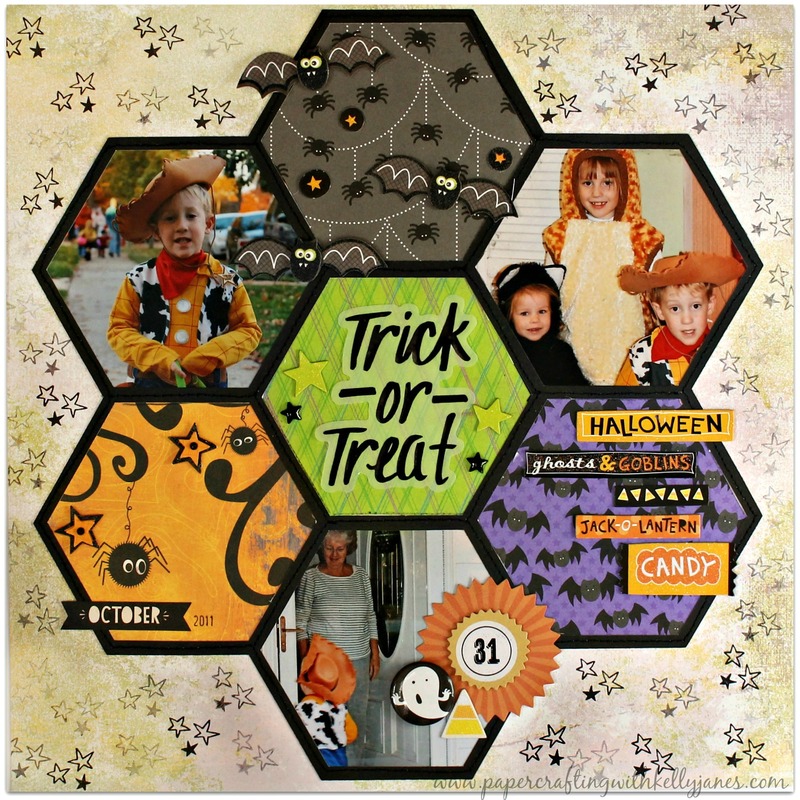 One of those techniques is shaped photos and Ashley generously offers a free hexagon cut file in the class. (You can click here to view my original blog post that includes multiple photos of the first layout I created.) In that original blog post I shared a peek of a second layout I created using the same cut file. Well I’m back today with the full layout! 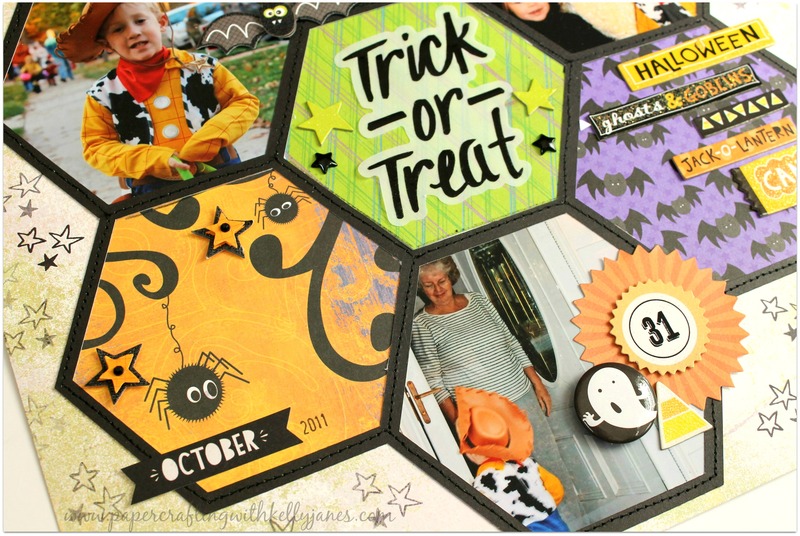 One of the great things about scrapbooking is you can scrapbook the photos of your choosing any time of the year…hence the Halloween layout in January! ha! I tend to hoard my paper and all my scraps so I’m unsure of the pattern paper labels on this layout because the manufacturer strips were already removed from previous projects. I did stamp the stars on the background paper using CTMH Black Exclusive Ink™ and the Tasty Terrors Stamp Set. The embellishments were mainly from the Crate Paper-After Dark Collection and K&Company pieces that I’ve had in my stash for A LONG time! I did throw in some CTMH black enamel stars also. Here’s a close up that shows a little more dimension of the embellishments and the machine stitching around the cut file.